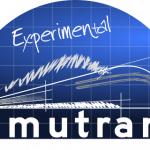 ﻿﻿﻿The 10.8 version ﻿﻿of Simutrans Experimental has been recently released. This is a bug fix release, with some small feature changes to assist in balancing games, especially online games. This entry was posted on 2012-02-02, 08:43 and is filed under Development & Releases. You can follow any responses to this entry through RSS 2.0. Both comments and pings are currently closed.